I met with Paula yesterday and she was exactly what I needed to make improvements in our home. I enjoyed our time working together and she was spot on with her decisions and insight. If you want someone who is professional, direct, and has vision, Paula is the person! I would highly recommend her expertise and designing talent! We remodeled our kitchen and Paula was extremely helpful. She was very aware of our budget. Once she saw our kitchen, she knew exactly what would look great. She is amazing to work with. Highly recommend. Paula was great to work with. I wanted to make a few updates and she had great ideas! The big update was to replace carpet and paint. She worked with me to get exactly the look I wanted. Paula, I will be calling you again to do some updating in the kitchen!!! When I bought my home, I knew I wanted a lot of things different and updated did not know where to start with my budget. Paula was referred to me by a friend. I gave her the green light. Paula moved everything forward quickly, made it very easy and it turned out great! It was exciting watching Paula turn my newly purchased house into my own home that reflected me! Mike and Paula Ryan have been a joy to work with. They are thoughtful, engaging, and have a great eye for detail. We would highly recommend them to anyone! So wonderful to work with you to help me choose colors for my kitchen and bedroom. I was stuck in a beautiful but boring beige home! You helped me choose the perfect shades of blue and green to complement my home! Thank you so very much!! After retirement, we decided to downsize from our family home. We were given the gift of a Paula's consultation to update our new home. We thought it would be nice to have the help, but had NO idea how much time, effort, expense and stress she would save us! 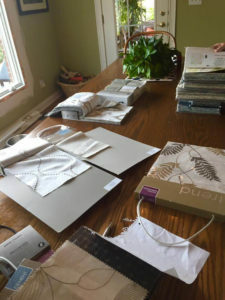 With her experience and great eye, we were able to pick out a gorgeous paint pallet for the whole house, granite tops, ideas on lighting, hardware and other touches that we didn't think of. She also can suggest many professional contacts and resources. After all the work was complete we had her come back to hang art work and decorate our book shelves...we had so many pictures and collectables she made quick work of helping us select and place them individually and in groupings. The book cases are beautiful and the pictures look amazing! I would highly recommend her for any design projects you have. Paula has a great eye, keeps the budget in mind and knows how to add just the right pop to make a space beautiful and yours. Couldn't recommend her more highly! 9 months is an extremely long time to wait. Yes. We we're expecting our first child. As first time parents we knew the baby room is of utmost importance. Having worked in the trades myself and bearing witness to various designers, there was only one designer to call...Paula. Made a quick phone call, she came over. We talked a bit about color and since we were not finding out the gender, the room had to be gender neutral. We had one requirement: we have to use my wife's circa 1982 baby bed. Paula agreed. We talked timeline...with us going out of town for a few days was when it worked best for us. My wife and I left town for a few days and we came home to a PERFECT baby's room. My wife cried, I was in shock. Emotions cooled down and we then started exploring the room. It was crazy, everything was DONE, the bed, the dresser, rocking chair, bookshelf, pictures, lighting, everything. Hands down knocked it out of the park! We could not have been more pleased. We had a great consultation! Paula listens to what you are trying to accomplish and helps with that vision. She helped us pick the perfect "white" for our kitchen cabinets and tile for the backsplash. In addition - we walked her thru our house and she pointed out ways to add value to the house without breaking the bank. I will definitely be calling her again when we redo our master bathroom. Paula does it all!! The advantage of using her as a construction manager, as well as designer, is that she controls the total initiative, has a great team, does all of the running around for you, uses your dollars wisely, and makes the whole event a party! By using Paula, we not only did major improvements, but completed that list of minor repairs & updates that have been needed. Paula’s energy honesty, and eye for design result in a great experience. We would highly recommend her for your next project! Because of Paula, we now have a beautiful, new master bathroom. She made our remodel a fun experience from start to finish. She made great suggestions and helped make decisions that we would still be stewing about. I would recommend her for any project and can't wait to be able to work with her again. The first project that Paula worked with us on was to give us a grown up living room. She listened to our needs. Helped us to go outside of our limits and incorporated some colors that we hadn't thought about. Then a few months ago we decided to redo our kitchen. With that we got rid of a see through fireplace and added a full built-in desk. She made the cabinets work seamlessly with the existing tile. The new built-in desk looks amazing. Now that room has a purpose. The fireplace and the new bar area have been re-faced with reclaimed wood. It definitely makes a statement and warms the room up. She always had the guys there when she said they were going to be. We felt very comfortable leaving the guys there when we went to work. 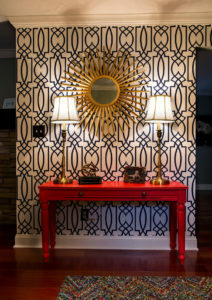 We would highly recommend Paula Ryan Designs to make your house dreams come true. I recently purchased a home 50 years old and she has performed miracles, with budgeting everything at incredibly reasonable pricing. She paid for herself by her experience, contacts, and not letting me make bad decisions I would have to redo later. I will use Paula on any project I work on in the future – she is enthusiastic, honest, and brilliant. I made so many expensive mistakes trying to do things on my own at first. I was too subjective about the project. She knows what works and what doesn't and was emphatic about her experience/instinct approach to design that has been proven over and over with her clients. Paula was easy to work with. Took care of all the running around. Kept the job moving forward and all the subs were knowledgable and professional. Quality work. We love our updates. Paula was such a pleasure to work with in helping me paint our whole house and decorate a few areas! She knew how hesitant I was in choosing too bold of colors, so she helped me pick out a few neutral colors that I absolutely love! I can interchange decorations all year and I'm so happy with how everything has turned out! She is aware of your budget and has a knack for picking out beautiful decor. I had such a fun time shopping with her, and, most importantly, she worked around my busy schedule to get what I wanted done in a timely manner. You will not be disappointed to have Paula help you with your household updates!! Paula figured out very early on that I needed my selections narrowed down to help make my decisions on my new home. She helped keep the project manageable because I work and have three kids with crazy schedules. She thought about my family’s needs now, and as they grow because we plan on being in this house a long time! Her contacts made it easier and she took the time to explain things and went above and beyond working with us on getting the plan just right. We had no clue as to what we needed when we started, from a design perspective and she guided us the whole way. She helped me choose everything from fixtures to paint colors! After completing a DIY remodel, I was unsure of how to “pull it all together” with our more open floor plan. I was concerned my project would be too small, but Paula offers A La Carte services that were the answer to my worries. We set a realistic budget, then Paula went to work moving things around, shopping my house, and helping me make the updates I envisioned, yet was unable to put in place for fear of making a mistake! She listened to me, quickly got a feel for my taste, and my favorite part was that she was able to successfully mix new furniture pieces with old. Using some of my vintage accessories gave our home the eclectic look I love, but also those small tweaks she suggested for mirrors, bookshelves, art work, lighting, etc. made a huge difference in freshening up our living space. Paula clearly loves what she does and will be able to help you make your home a place of meaningful beauty and comfort. Paula does AMAZING work. From helping us pick out the perfect paint colors to brighten our new home to finding an inexpensive rug that looks fabulous in our living room (that I would have never even known would look so good!). She also accompanied us to pick out furniture to help us find the exact style/color/patterns to make our house "pop". I highly recommend Paula's services to anyone who is stuck in a blah home! The color and design of the home is stunning thanks to Paula. The attention to detail is clearly visible. We call the house comfortably elegant. Everyone who has been to our home agrees that it is a "WOW" house that says "come in and sit down" which they are happy to do. 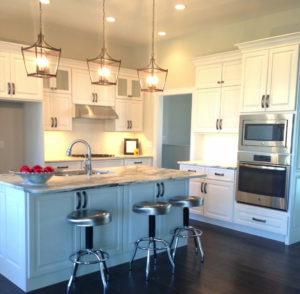 Paula helped me with a kitchen update.I hired her after I had made decisions on my own and with a different designer. Paula picked out a different counter top that was a little out of my comfort zone and I am in love with it. She also has chosen the color that we painted the cabinets and the style of floor, both of which are great. Paula is easily reached by email, phone, or text and returns phone call promptly. She has been a delight to work with. I would recommend her without reservation. I've worked with Paula on two different projects in my home. One was inside-redoing an office to make it my own and redoing a guest bedroom for grandchildren. The other was outside-new windows, garage door, paint. I couldn't be happier with both results! As I've said many times, the greatest thing about Paula aside from her amazing decorating and color sense is her uncanny ability to really listen and hear what people are saying, getting to know them personally and turning a dream (even if you don't exactly what that dream is) into a reality. I don't hesitate to recommend Paula for any needs you might have. I will definitely use her talents any time I have a project I need help with in the future! Paula listened to my ideas, and then helped me select the flooring, cabinets, tops, light fixtures and paint colors to make sure they all came together. She suggested features that I could never have possibly envisioned, but trusted her and went for it and love it; wall paper in the kitchen and stripes to my bedroom wall. Paula managed the remodeling process very efficiently by keeping the subcontractors on task and kept the cost down as well (unless I decided to add something) I would highly recommend Paula for any project large or small! Paula Ryan helped me with a basement re-model and she did an awesome job! She has a great eye for color, and knows how to update an 80's looking area on a budget. What I really appreciated was how she pushed us to think "outside of the box." She came up with great ideas that we would have never thought of - and got the work completed quickly. I'd highly recommend her for updating and design. Paula was an essential resource for us when we bought our new home and wanted to make it look like us. She helped us with paint colors, kitchen countertops, backsplash, and lighting to really make our home have a cohesive look. We are the people that didn’t know what we liked, but we knew what we didn’t like, and Paula was able to take our input and come up with some great ideas. We would definitely recommend Paula if you’re wanting to put a personal touch on your home. Paula has a wonderful eye for space design. Her interior design skills especially matching color with space are excellent. We used her to remodel our basement, then had her choose paint, furniture and hang pictures along with accessorizing both spaces. Paula has a knack for finding the finishing touch that turns a house into a home. Thank you so much, Paula, for helping with my kitchen update! I love my granite and tile backsplash combination, and left to myself I would have definitely made bad choices! Paula gave perfect advice and her subcontractors are talented and enjoyable people. Highly recommend! Great person! Awesome eye for working with you in putting your ideas for your home in place. Simply said Paula is wonderful! She transformed our dated, boring and sad living room into a luxurious room that I don’t want to leave. She helped with upholstery and window treatments. She found the perfect area rug that pulls the room together. PAULA helped us find the ideal paint color but using large paint boards so we could see exactly what the color looked like in various lighting. Finally, she helped with wall hangings and accessories to create a space we love. We will definitely hire Paula for our next project. Paula was an amazing benefit in the interior design and selection process for our new home. Paula joined us in all of our meetings with the contractors and material providers in the building process. Her experience simplified the selection process and added design ideas at each meeting - couldn’t have done it without her! Recently, Paula Ryan helped me to remodel my business office. She was amazing! Paula was able to take my ideas and make them into reality. She researched several options, giving me some fabulous ideas and then gave me her professional recommendations on what would look best. Paula was there to pick out paint, flooring and accessories. I know it wouldn’t have all come together without her expertise. She is one of a kind! Paula Ryan did an amazing job in redoing my kitchen! She did the rest of my house awhile ago and used her again for this because she is so easy to work with and my house looks awesome! I recently moved and she helped me accessorize to make my new home feel like me! The colors in our home were perfect, the crown molding, wood flooring and light fixtures are exactly what I would have chosen for myself. Paula did a great job of making our home feel like a home before we moved in.